Calleros Dental is proud they were selected from many other dental offices across the nation to be showcased in Patterson Dental's Spring issue of Patterson Today magazine. In March, a team of videographers, writers, and photographers came to our El Segundo practice for a full day to obtain all they needed to have the magazine include a detailed article and showcase of images of the office. The Patteron Today website also uploaded a very thorough video expose on our office. The entire Calleros Dental team are very excited to have the distinction and honor of being featurd in a nationally circulated publication! Below are some behind the scenes photos from the photo and video shoot date in March. The Spring issue of Patterson Today came out in May, and we are very excited to share this issue with you. Also, Dr. Calleros was chosen to be the issue's cover story and featured office. 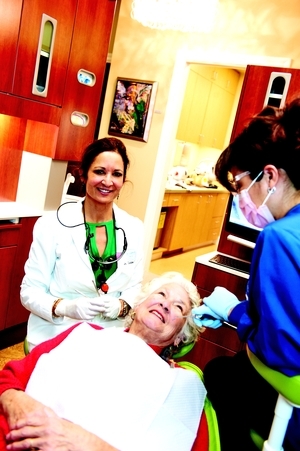 Being the main featured dentist and office is quite an accomplishment and no one is more deserving than Dr. Calleros. 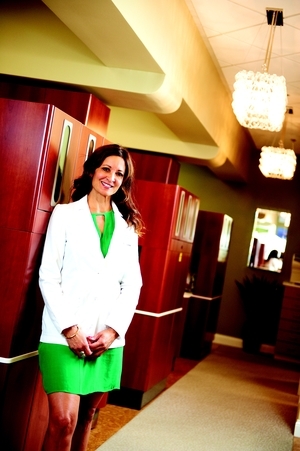 Making her dream office become a reality has allowed Dr. Calleros and her team to provide the highest levels of dentistry with the latest technology. and it truly has been an amazing year! Below are some photos the magazine issue itself! Click here to see and read the Patterson Today Spring Issue and see the featured photos and video!